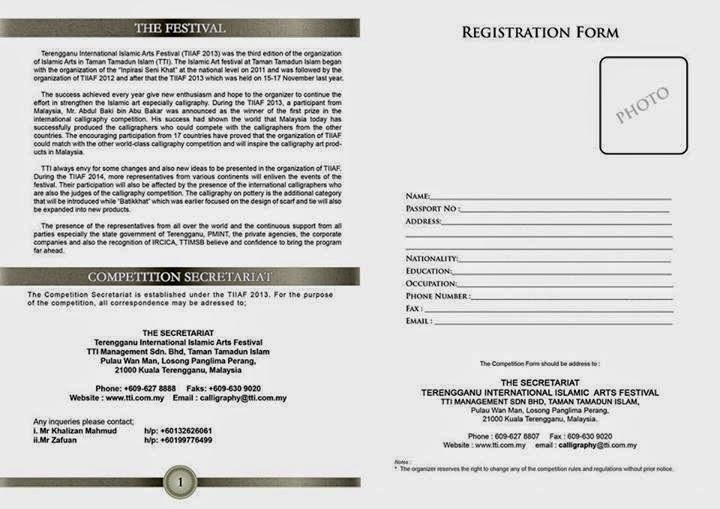 2013 is the third edition of the Islamic arts festival held at Taman Tamadun Islam and its second edition held at international level. 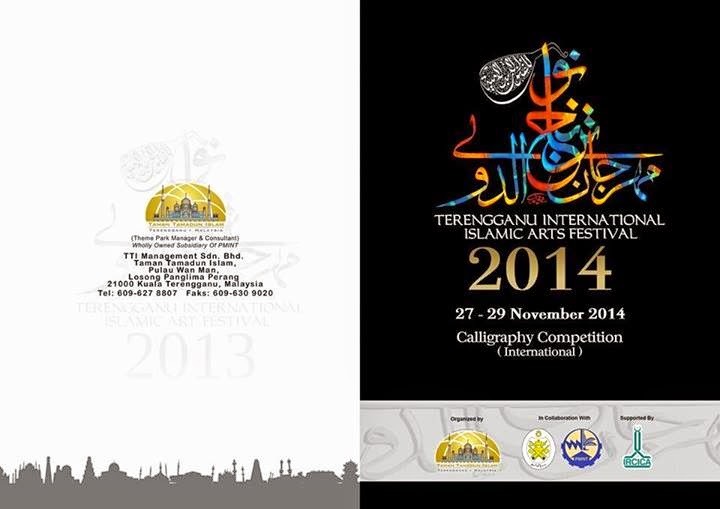 The second edition entitle "Terengganu International Islamic Art Festival 2012 (TIIAF 2012) which was held on 14 - 17 September 2012 received positive respond from the state government of Terengganu and State Economic Development of Terengganu as well as from Malaysian and international calligraphers. 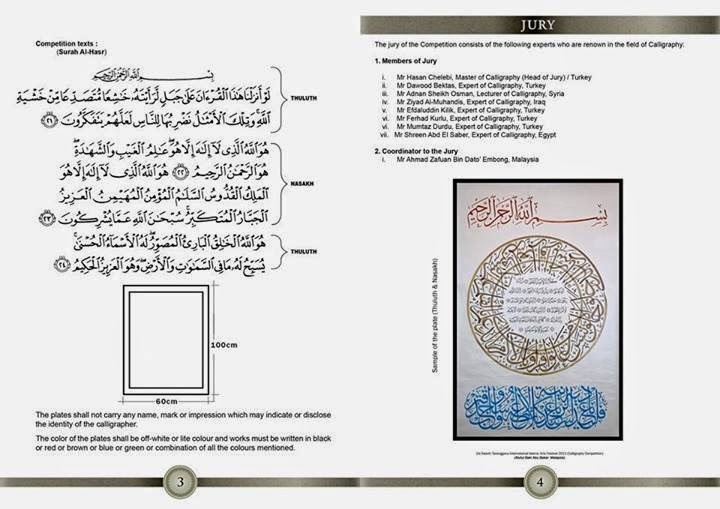 Inspired by the theme "Devotion to Islamic Art", the 2013 edition will highlight the Islamic art and calligraphy at it best and will attract all Islamic art practitioners and lovers from all over the world. The festival will be held on 15 to 17 November 2013. Kiriman oleh Terengganu International Islamic Arts Festival 2013. TIIAF 2013 will feature the calligraphy competition at national and international level and will be participated by the experienced calligraphers from within the country and abroad. The festival also feature the seminar and workshop which will be conducted by the world renowned calligraphers. 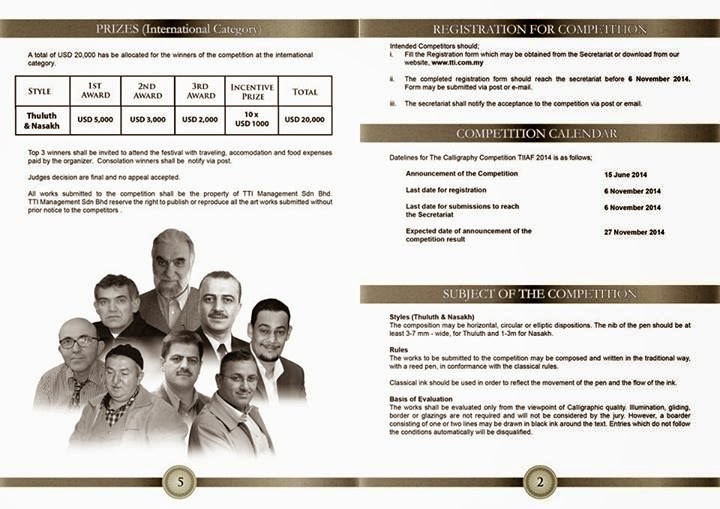 Batikhat competition and Islamic musical performance will be conducted to show the varieties of calligraphy based product and it will have its own uniqueness as compare to the previous edition. TIIAF 2013 surely will be the event to be remembered by calligraphy lovers and practitioners in their endeavour to promote the Islamic art and calligraphy to the world.